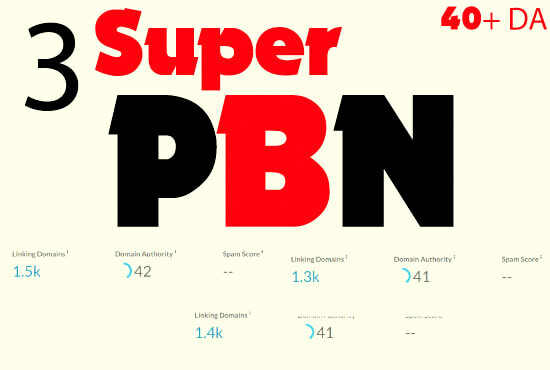 super high DA [40+] dofollow PBN backlink. service of Private Blog Network and rank in top 10. We provide premium PBNs dofollow backlinks for improving your ranking position in Google results. 100% index within 2 to 3 days. This is real private blog network. So you can get a cheap dofollow pbn backlinks offer which will help you to rank your focus keywords fast. Requirements: You just provide a unique 300+ article.